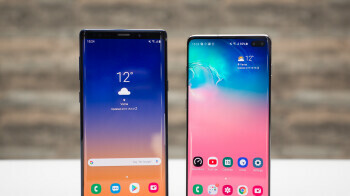 The Samsung Galaxy S10+ is the shiny new and rather big jewel in the Samsung lineup. It has top-of-the-line hardware, minimal bezels, and is so thin and light that it's a pleasure to hold and use. And, even with its elegant body, it still manages to somehow hold bleeding edge tech and a rather large battery. Next to it, the Galaxy Note 9 can look a bit crude or underdeveloped. But, it's not always about looks, as any smartphone fan surely will tell you. The Note 9 can still stand on its own two legs with its own powerful processor and mind-boggling amounts of RAM.